Chakor has got to know Vivaan’s number and is keen to call him. She fails to talk to him and takes Aditya’s help who teaches her how to make phone calls. 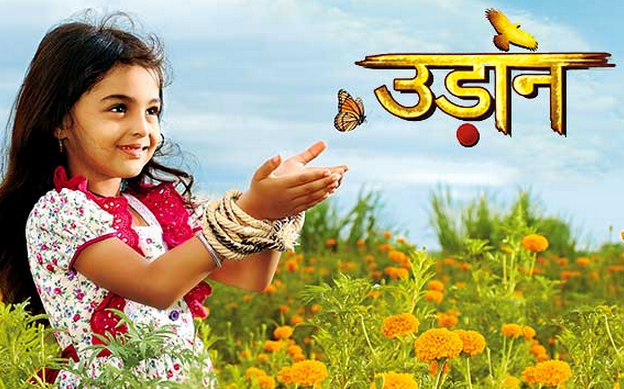 Aditya is glad to learn many things from Chakor, and asks her why does she not want to stay with her parents. Chakor does not tell him. 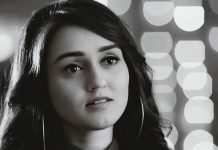 Aditya asks again and she tells him the bitter truth that her parents kept her mortgaged to haveli people. Aditya is shocked and asks her is she any gold or silver ornament to be kept mortgaged and feels sorry for her. She asks him not to tell anyone as this would not go well with her parents. 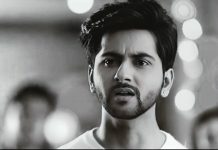 Aditya is worried for Chakor’s future. He sees her upset and tells her that he will take her to school tomorrow and make her meet Vivaan. She gets glad. 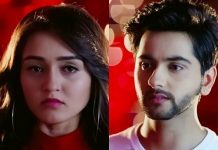 Tejaswini meets Chakor’s parents and fools them in her trap, by saying about Chakor being in unsafe hands, and those people will sell her off. Kasturi and Bhuvan are shocked and ask her to find some way. Tejaswini complains them to file a FIR against Ishwar Rawat to free Chakor from them. She informs Abha about Chakor’s parents filing FiR which will harm Ishwar’s career. She threatens Abha to drop Chakor back, else she will face a big problem. Manohar is angry on Chakor, as he has lost his son because of her. He packs his bag to go to Lucknow and meet Vivaan at his school, the same day when Chakor is finding Vivaan. Will Manohar and Chakor come face to face? Keep reading.